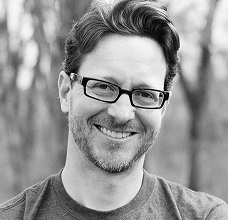 Jeff Anderson founded the ministry, Acceptable Gift, Inc. in 2009. Acceptable Gift, Inc. is an exempt organization under section 501(c)(3) of the Internal Revenue Code. In 2003, Jeff and Stephanie responded to God’s call to full-time ministry, initially serving with Crown Financial Ministries. Since then they have trusted God fully for their personal and ministry financial support. Jeff’s first book, Plastic Donuts: Giving that Delights the Heart of the Father (2012) is used by pastors and churches across the country to teach people God’s perspective on giving. In recent years Jeff’s ministry focus has shifted to serving families. Jeff’s Power Read the Bible initiatives are reaching families all over the world. By offering several online reading plans, we’re able to encourage and inspire Christians from anywhere across the globe. And because of your generosity, these reading plans can be made available for FREE.